Our glass restoration services in Boise, Idaho are just a phone call away. Our glass restoration and glass renewal services often save a substantial amount of money when compared to glass replacement. Commercial glass restoration and glass scratch removal are an art form that we have perfected over the years. We have the knowledge, the correct tools, and the proper equipment to perform a wide variety of repairs to glass surfaces. When our company provides regular maintenance for your building after performing our glass restoration services, you may be eligible for a limited lifetime warranty against future glass stains. Our warranty covers both products and labor. 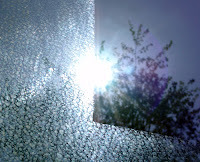 In the event that your property develops additional glass staining, we may remove the stains for no additional charge. 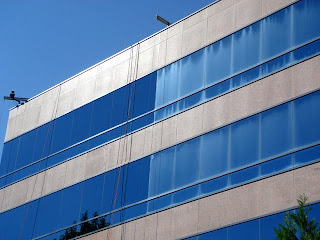 We invite you to take advantage of our superior window cleaning services after restoration. We will clean your windows using deionized water and a window-cleaning additive that does not leave an oily residue behind. This will effectively keep your building looking new all year around. Our company is fully compliant with the I-14 Safety Standard, and we are proud to say that we have serviced commercial high-rise properties for over a decade without any serious-injury accidents.